Music and handicrafts, shows and good food, exhibits and folklore. Many special occasions which to choose from: such as great events like the Alpàa in Varallo, the awe-inspiring Carnivals, the Viotti in Vercelli or the Camminmangiando in the lands of wine, or the Festivals, unique moments permitting one to live again rural traditions, or the small, yet not less important for this, theatrical or musical reviews; events which encourage for the discovery of museums and local art treasures, or entertainment for the smallest of children, or sporting events. Each day of the year, a calendar full of activities that reveals a genuine tourist calling.OK, the area isn’t part of the usual circuits of the big cities of art, but from Monte Rosa to the banks of the River Po, it is surprisingly easy to come across great masterpieces of international acclaim and singular evidence of the past, perhaps not quite so famous, but full of great expressive strength and rich in history. If you don’t believe us, just try visiting the Treasury Museum of Vercelli Cathedral: this is home to the "Vercelli book”, one of the most famous 10th century manuscripts written in English. And what about the Leone Museum and its fascinating collection of precious 18th century clothes, or the Borgogna Museum, where you can discover the renaissance splendour of the Vercelli school?  If you still aren’t convinced, give in to the enchantment of the realism of the 800 statues of the Sacred Mount of Varallo, or step back in time to discover the farming rhythms and traditions of the ancient Walser people, descriptively detailed in the ecomuseums. Don’t miss out on the opportunity to discover the province of Vercelli, its history and artistic treasures.